Beautiful boutique made sweatshirt embellished with glitter & Kente accents. 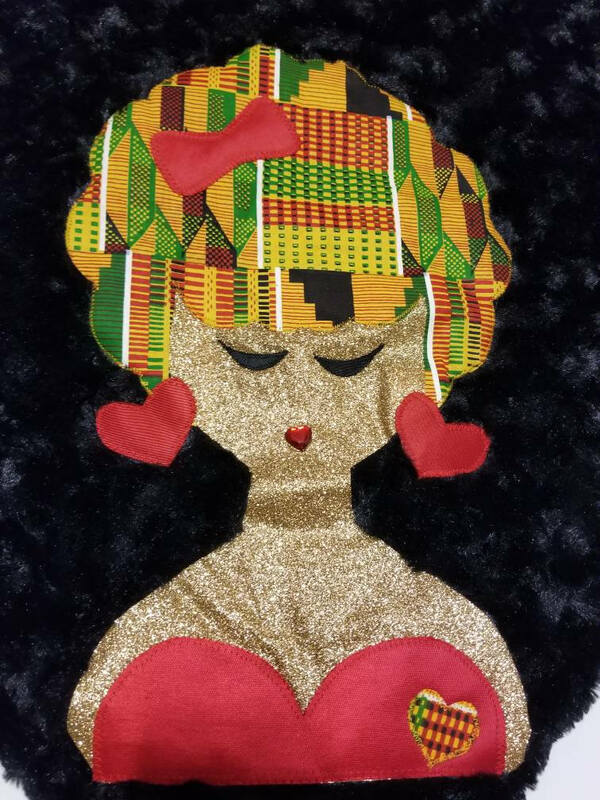 She is LOVED showcases the beauty of the Black Women who is made of magic & dipped in gold! Each shirt is cut out, decorated & embellished by hand in small batches. Th sweatshirt is good but the company (chick fil-et) is bad. I didn’t know that the company’s reputation was quite that bad til I bought the sweatshirt and showed someone it. I Love, Love, this jacket!! Remitha communicated with me throughout the ordering process to make sure everything was perfect. Five more stars ⭐️⭐️⭐️⭐️⭐️ for her customer service skills!! Thank You!! Great quality! Very cute, fits very nicely. Due to the custom nature of each item, returns, refunds and exchanges are not accepted.